and managed by a trusted partner. We stay on top of security updates and counter threats while providing you and your employees easy access to email, documents, and applications. We take care of all the maintenance, remote backup, and disaster recovery systems for you, using our own local datacenters, so you know where your data is and how it’s protected. 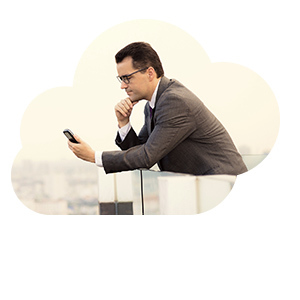 With other cloud providers, you don’t know how your data is secured or where it’s located. Many cloud providers store data overseas. One more reason to switch to DG Cloud: if you’re accustomed to maintaining a room full of servers, using our DG Cloud service might also free up space in your office! You can stop shuffling backup tapes. Offsite storage provides redundant protection. We can host your servers and applications as well as your data.